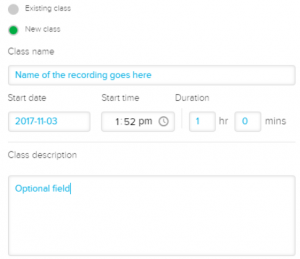 Timetabled teaching will be automatically published to the related course but with departmental events you may need to publish them to allow the film and audio team access to edit them. Log into Echo360 using your LSE email address and password. Locate the video you wish to publish and click on it. You should now see Publishing information. If the video has not been published to DPT_EVENT then you will need to do so. 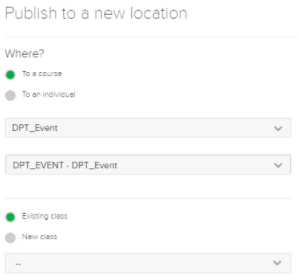 Select To a course and from the dropdown menu locate the DPT_EVENT course. Note: You will not be able to see DPT_EVENT in the dropdown of courses if you are not an instructor within the section. Get in touch with lti.lecturerecording@lse.ac.uk if this is the case. Upon completion, click the blue publish button to complete the publishing process. You should now see that the recording has been published to DPT_EVENT under the Publishing tab.